Beautiful composition Adnan, Peace and tranquility at it's best! 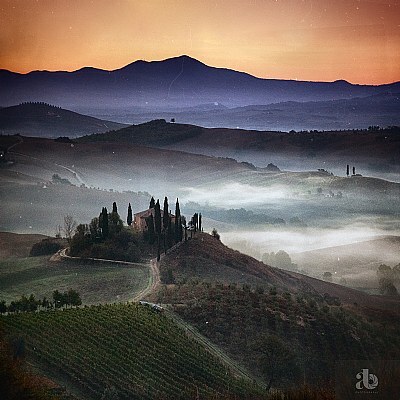 wooooow a beautiful tuscany show ! congrats for a perfect POD deserved it! Very beautiful place with excellent color tones, fascinating view and mood, regards. Wouldn't it be nice to live there! Wow! Nice shot of a wonderful location! beautiful image , but why so much of scratches ? added in pp ?